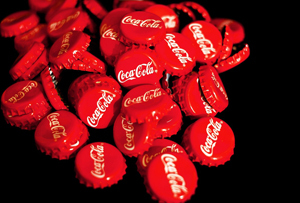 A bad Budget for Coca-Cola, shaking off stereotypes, Admiral CEO's parting gift. 1. There might have been some sweeteners for small businesses in this week’s Budget, but George Osborne is clamping down on sugar. 2. MT’s Inspiring Women conference hit Edinburgh where F1’s Susie Wolff shared tips for staying driven in a male-dominated workplace. 3. Admiral’s outgoing CEO has given staff a very early Christmas present – £7m in total. 4. It’s never too late to change your career path if you feel it’s gone off track. 5. Investment banks certainly aren’t penny pinching when it comes to graduate recruits. 6. Sports Direct’s unassuming CEO has been thrust into the spotlight. 7. How do you solve a problem like business ethics? Most FTSE firms just don’t know. 8. Squeezing into the saturated smoothie market should be tricky – but Pack’d is doing just fine. 9. Airbnb wants to take over more of your travel experience. 10. Things just keep getting worse for pharmaceutical firm Valeant.